An international series of moves on the strategic map or chessborad is ongoing in an apparent effort to get the first move from America’s new president, Barack Obama. Russia has orchestrated the closing of a key U.S. air base at Manas in Kyrgyzstan, China has seen fit to harass a U.S. naval vessel in the South China Sea and now Russia has failed to deny the possibility that Russian bombers could be based in Venezuela and or Cuba. The problem with these moves is that it puts the president into a reactive rather than a proactive position and the incidents themselves lend themselves to escalation unintended and accidental. When China wanted to send the “back-off” message to President George W. Bush early in his administration by harassing a U.S. Navy surveillance aircrft using a Chinese PLA (Air Force) fighter, the aircaft collided, killing the Chinese pilot and leading to “detention” of the American aircrew. One has to hope that the Obama Administration has made it perfectly clear to China and Russia that this kind of conduct is not helpful at the least and potentially very dangerous. But no public mention of that effort has been made publically, which could mean other like Hugi Chavez in Venezuela get the wrong idea and take additional unnecassary risks and miscalcualtions we don’t need…. MOSCOW – A Russian Air Force chief said Saturday that Venezuelan President Hugo Chavez has offered an island as a temporary base for strategic Russian bombers, the Interfax news agency reported. The chief of staff of Russia‘s long range aviation, Maj. Gen. Anatoly Zhikharev, also said Cuba could be used to base the aircraft, Interfax reported. The Kremlin, however, said the situation was hypothetical. “The military is speaking about technical possibilities, that’s all,” Alexei Pavlov, a Kremlin official, told The Associated Press. 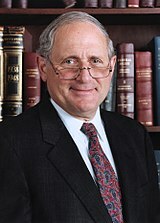 “If there will be a development of the situation, then we can comment,” he said. Interfax reported he said earlier that Cuba has air bases with four or five runways long enough for the huge bombers and could be used to host the long-range planes. Two Russian bombers landed in Venezuela last year in what experts said was the first Western Hemisphere touchdown of Russian military craft since the end of the Cold War. Cuba has never permanently hosted Russian or Soviet strategic aircraft. But Soviet short-range bombers often made stopovers there during the Cold War. Russia resumed long-range bomber patrols in 2007 after a 15-year hiatus. Independent military analyst Alexander Golts said from a strategic point of view there was nothing for Russia to gain from basing long-range craft within relatively short range of U.S. shores. “It has no military sense. The bombers don’t need any base. This is just a retaliatory gesture,” Golts said, saying Russia wanted to hit back after U.S. ships patrolled Black Sea waters. In his inaugural address, President Barack Obama signaled conciliation to America’s foes by using the metaphor of an outstretched hand to an unclenched fist. Already, there are signs that some of those foes were listening, sensing an opening for improved relations after eight combative years under President George W. Bush. Fidel Castro is said to like the new American leader, and North Korea and Iran both sounded open to new ideas to defuse nuclear-tinged tensions. Unclear is what they will demand in return from the untested American statesman, and whether they will agree to the compromises the U.S. is likely to insist on in exchange for warmer relations. In one of his first acts in office, President Obama has ordered the U.S. government to suspend prosecutions of prisoners at Guantanamo Bay for 120 days, military officials said Tuesday. In one of its first actions, the Obama administration instructed military prosecutors late Tuesday to seek a 120-day suspension of legal proceedings involving detainees at the naval base at Guantanamo Bay, Cuba — a clear break with the approach of the outgoing Bush administration. “It is more difficult than I think a lot of people realize,” the President-elect explained. President-elect Barack Obama said Sunday that some of his campaign promises will have to wait – domestic-policy changes may be on hold because of the dire economic situation, and legal and national security concerns have postponed his promised closure of Guantanamo Bay. In an interview with ABC’s “This Week” that aired Sunday, Mr. Obama said he has come to realize that his pledge to close the federal detention center at Guantanamo Bay, Cuba, within his first 100 days in office won’t happen that soon. When he was campaigning for the presidency, Mr. Obama regularly said the prison “sends a negative message to the world” and taints even trade-deal negotiations. “To the extent that we are not being true to our values and our ideals, that sends a negative message to the world, and it gives us less leverage then when we want to deal with countries that are abusing human rights,” he said during a primary-season debate in Iowa in December 2007. Russian warships have been plying the waters off Venezuela and Panama in recent weeks and are now heading for Cuba, but U.S. officials are not so much wringing their hands as yawning. The Pentagon, while puzzled by the Russians’ actions, also is taking a ho-hum attitude. The U.S. military commander for the region, Adm. James Stavridis, head of the U.S. Southern Command, said that from his vantage point, there is no reason to be concerned about the Russian naval activity. “They pose no military threat to the U.S.,” Stavridis said in an e-mail to the AP on Tuesday. It was the first such passage by a Russian or Soviet warship since World War II. There is no suggestion of a military confrontation, but the Russian moves are notable in part because they appear to reflect an effort by Moscow to flex some muscle in America’s backyard in response to Washington’s support for the former Soviet republic of Georgia and elsewhere on the Russian periphery. That includes U.S. missile defense bases to be erected in Poland and the Czech Republic. The Russians were unhappy with a U.S. decision to send a state-of-the-art warship into the Black Sea as part of an American humanitarian aid mission for Georgia in the aftermath of last August’s war with Russia. The Russians also are angry about the Bush administration’s push to add Georgia and the former Soviet republic of Ukraine as members of the NATO military alliance. Under the gaze of the U.S. Southern Command, Russian ships this fall held joint exercises with the navy of Venezuela, whose president, Hugo Chavez, is a fierce U.S. critic. Navy Rear Adm. Tom Meek, the deputy director for security and intelligence at Southern Command, said in a telephone interview Tuesday that he sees little chance of Russia teaming up with Venezuela in a militarily meaningful way. This is a July 2004 file photo of the Admiral Chabanenko, Russian anti-submarine destroyer, seen in the Barents Sea, Russia. The Admiral Chabanenko sailed through the Panama Canal – the first Russian ship to do so since World War II. The Russian Navy is on a symbolic projection of Moscow’s power in a traditional U.S. zone of influence. he Russian navy says its warships will visit Cuba for the first time since the Soviet era. The navy says a squadron that has been on a lengthy visit to Latin America will put in at Havana on Friday for a five-day stay. Navy spokesman Capt. Igor Dygalo says it will be the first visit by Russian warships to the Communist-led island just 90 miles (145 kilometers) from the United States since the 1991 Soviet collapse. The nuclear-powered cruiser Peter the Great and the destroyer Admiral Chabanenko arrived in the Caribbean last month in a deployment also unprecedented since Soviet times. The voyage is widely seen as a response to the United States’ use of warships to deliver aid to Russia’s neighbor Georgia after their war in August. This is a July 2004 file photo of the Admiral Chabanenko, Russian anti-submarine destroyer, seen in the Barents Sea, Russia. The Admiral Chabanenko sailed through the Panama Canal — the first Russian ship to do so since World War II. The Russian Navy is on a symbolic projection of Moscow’s power in a traditional U.S. zone of influence. A bipartisan Senate report released today says that former Defense Secretary Donald H. Rumsfeld and other top Bush administration officials are directly responsible for abuses of detainees at Guantanamo Bay, Cuba, and charges that decisions by those officials led to serious offenses against prisoners in Iraq and elsewhere. 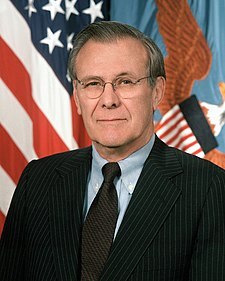 The Senate Armed Services Committee report accuses Rumsfeld and his deputies of being the principal architects of the plan to use harsh interrogation techniques on captured fighters and terrorism suspects, rejecting the Bush administration’s contention that the policies originated lower down the command chain. were never leaders in his fan club….